Signet Mortgage Corporation » Fixed Reverse Mortgages going away.. Fixed Reverse Mortgages going away..
FHA has eliminated the standard fixed-rate HECM reverse mortgage, but older homeowners who use these mortgages – and the advisors and family members who assist them – will still have quality options to structure a reverse mortgage to fit their needs. A client I sat down with yesterday simply needed between $1,300 and $1,500 additional cash flow to supplement their monthly income. 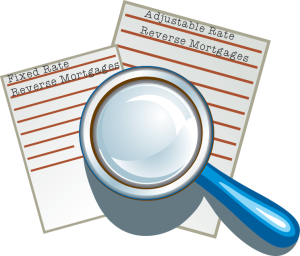 The standard adjustable rate (HECM) reverse mortgage fit their needs perfectly. The remaining funds remain in a credit line to be accessed only as future needs dictate. Rather than taking a lump sum, paying interest and mortgage insurance on the entire amount and then struggling to match that expense by investing the funds – they were able to meet their needs with the standard adjustable HECM. FHA and HUD have struggled with the projections of the FHA reserve fund for years in response to calculations in the fund that look out 30 years projecting home prices. As you can imagine that is very difficult to do and easy to be pessimistic in this market. The standard fixed-rate HECM puts a greater strain on the reserve fund because all funds were taken up front. That creates the possibility not enough funds are set aside or available to meet future obligations, including homeowners insurance and property taxes. More changes are on the way making it important to discuss your needs and how those future changes may impact you. A reverse mortgage is not for everyone but can be a significant blessing when used properly. Let’s talk.